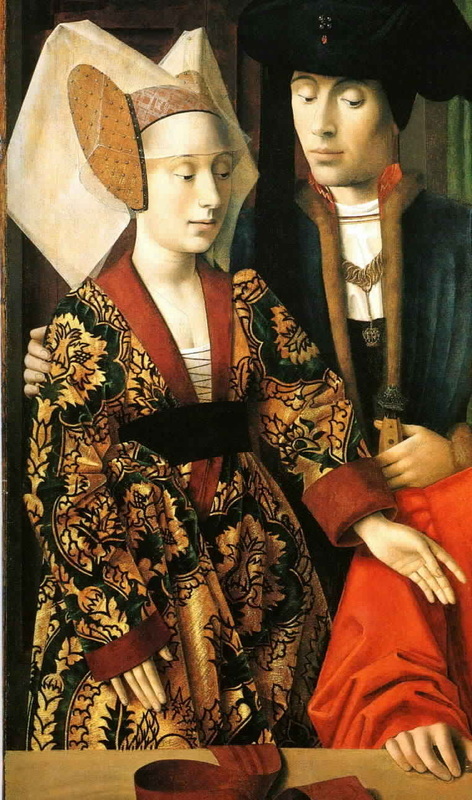 Note that there is a VERY subtle indication of an extremely sheer partlet maybe around her neck under the dress? 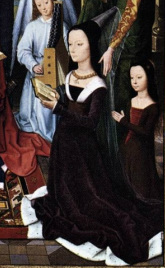 I'm considering this a transitional dress from the Houppelande to the Burgundian. Also a transitional dress from the Houppelande to the Burgundian, this has the deeper V of the Burgundian and the more fitted, set-in sleeves. But is still a very full version. 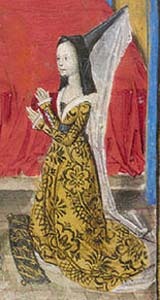 Note the open, trimmed sleeve seams, and the beaded/pearled edges of the veil. 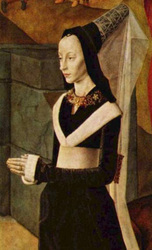 A deep purple burgundian with fitted sleeves. 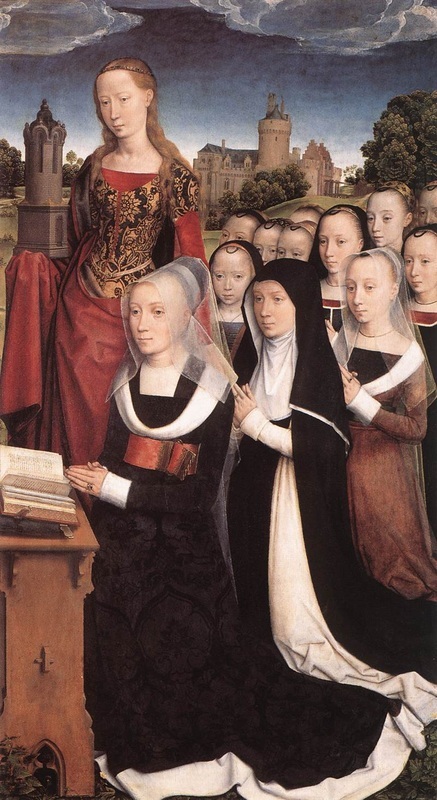 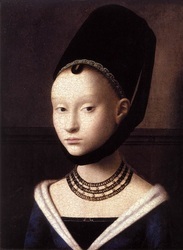 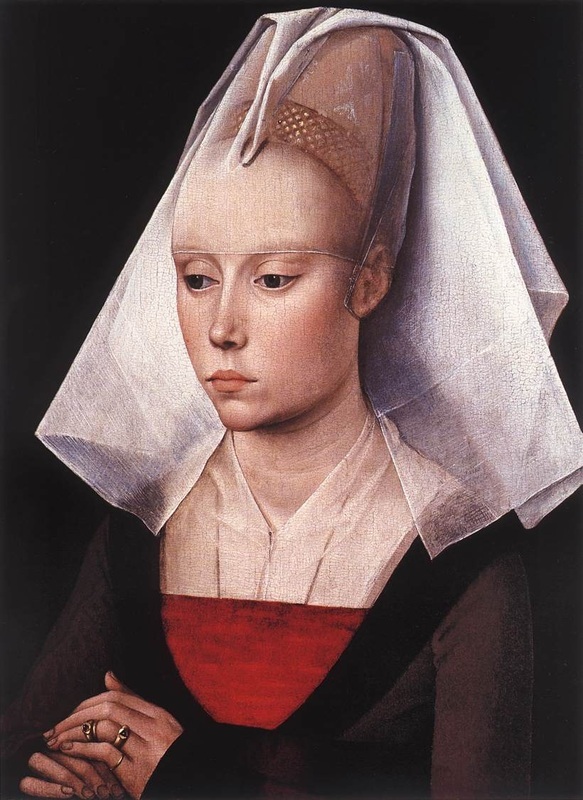 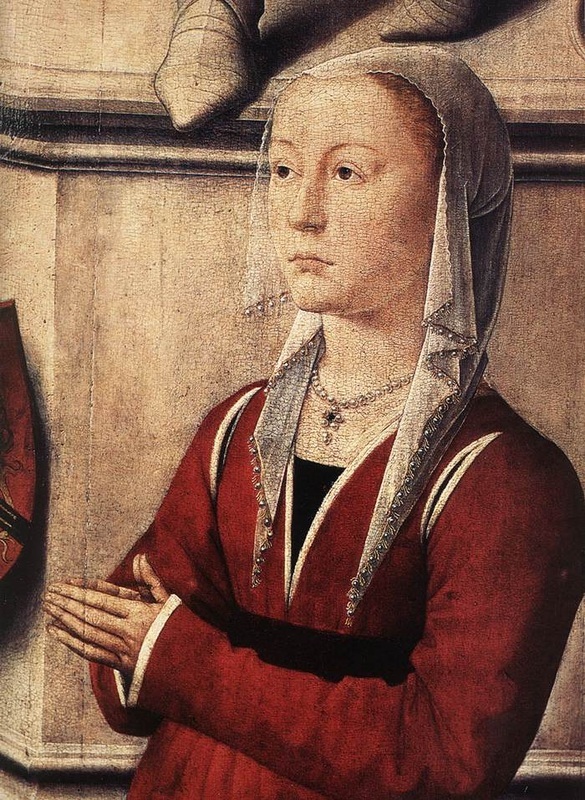 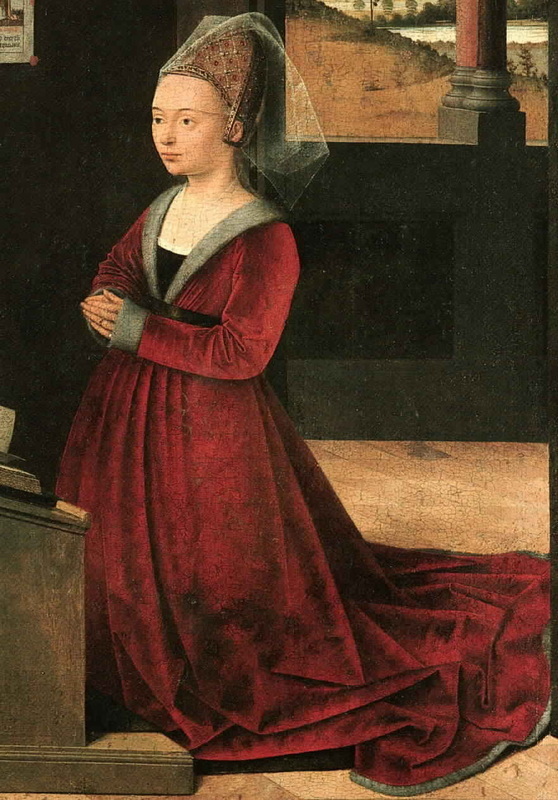 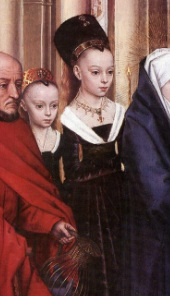 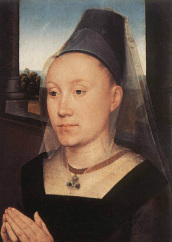 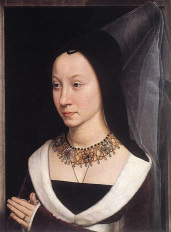 (Girl behind wearing an open-laced kirtle over a red underdress or stomacher, not a Burgundian). 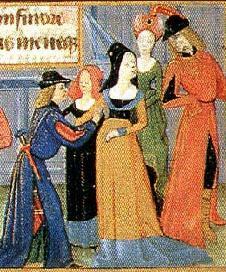 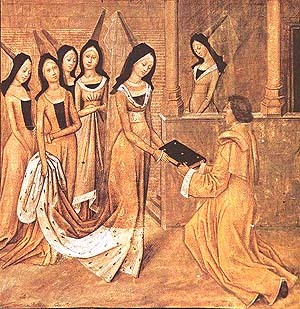 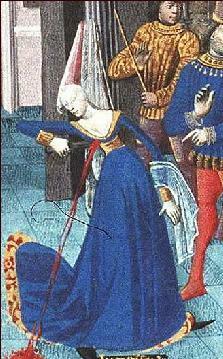 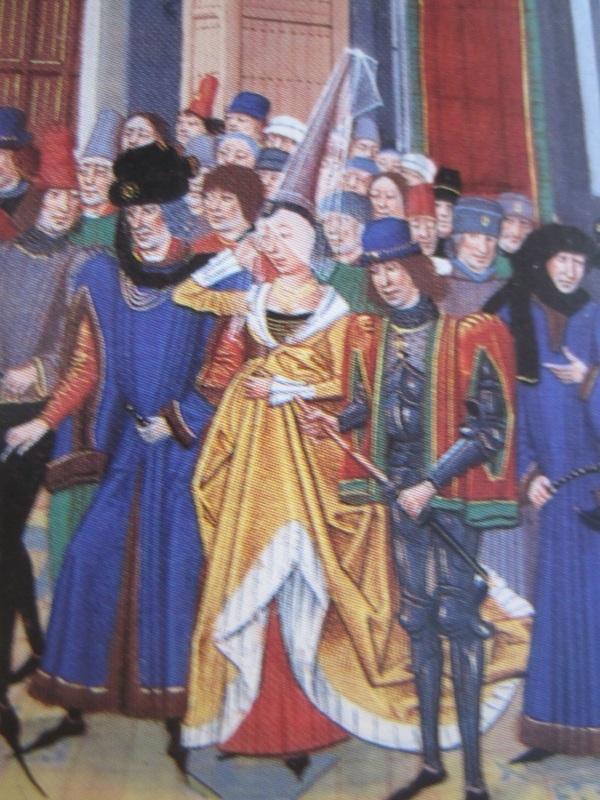 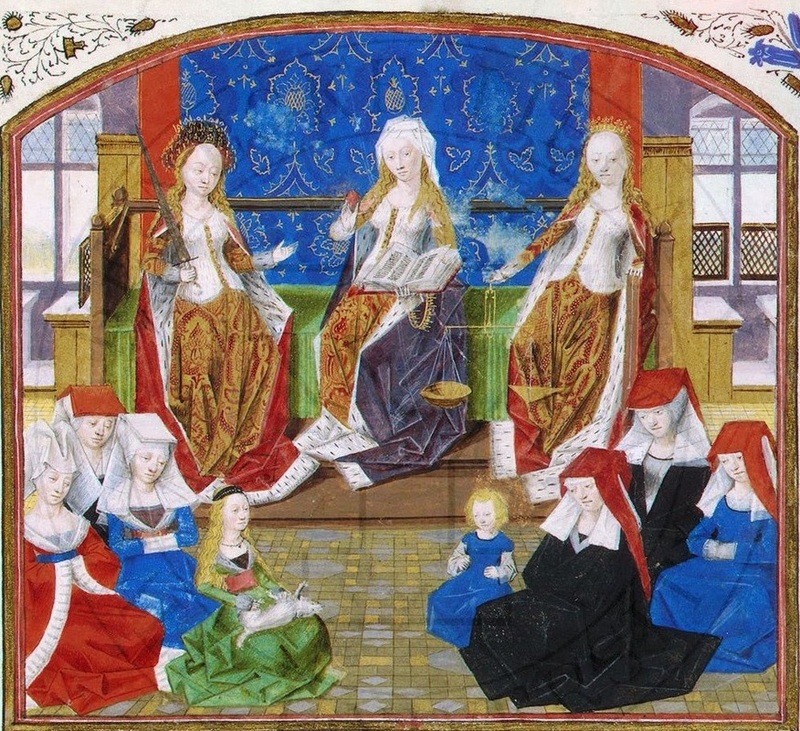 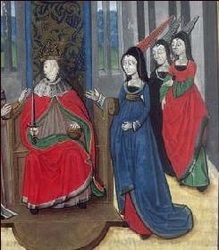 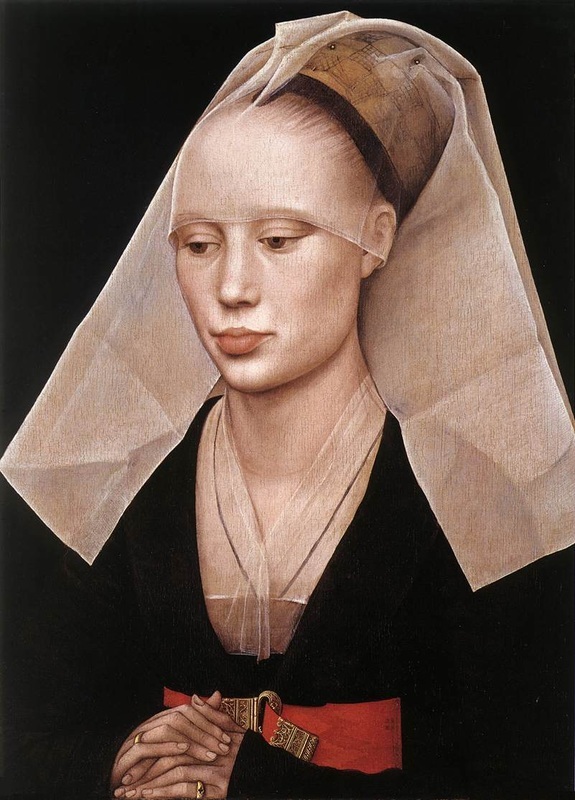 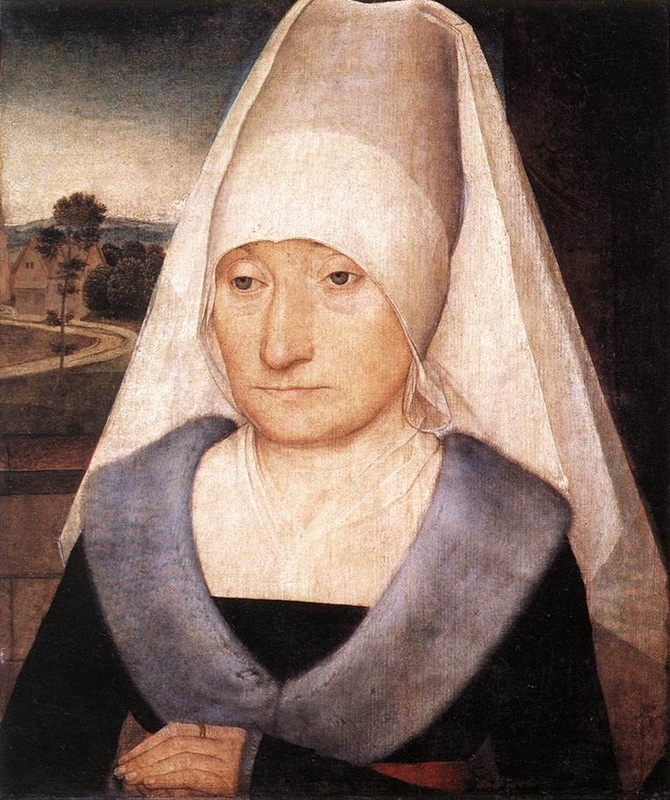 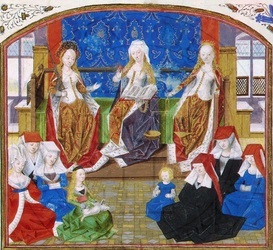 A Detailed Account of the 1460-80 Burgundian Gown at Festive Attyre, indcluding description of all pieces worn with it. 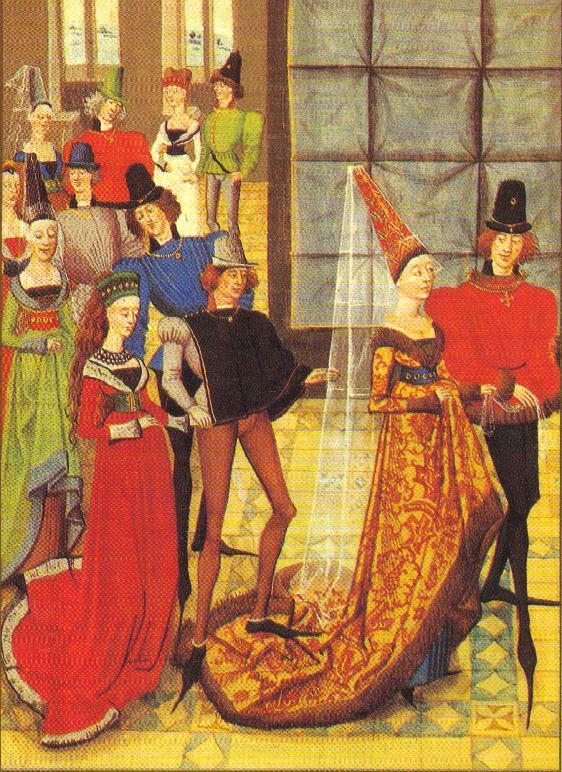 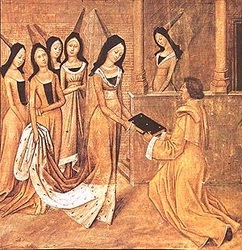 "Understanding Houpelande and Burgundian Clothing Construction" by Mistress Corisander Seathwaite including pattern shapes and sleeve styles for the Houpelande.